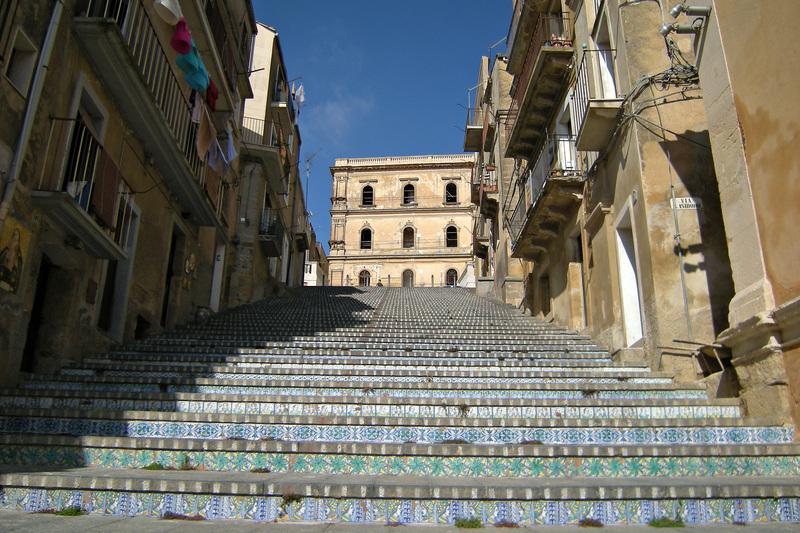 We offer unique travel experiences in Sicily with personalized and tailor-made tours. Let’s explore Villa Romana del Casale & Caltagirone together, local friendly staff and comfortable vehicles at your disposal. Scenic drive to Piazza Armerina and visit of the Roman Villa del Casale famous for its more than 3500 square metres of preserved mosaics. Villa Romana del Casale. The ancient hunting lodge is home to one of the world’s largest collections of Roman mosaics that depict scenes from everyday life and mythological tales. Explore its public rooms like the thermal baths, public hall, dining area and courtyard. Gaze in awe at the famous ‘bikini girls’ mosaic wall and listen to stories of the site’s history from your guide. Hear how the lodge was hidden after a 12th-century landslide before being discovered around seven centuries later. Its true magnificence discovered after later excavations and it was given a well-deserved spot on the UNESCO World Heritage Site list. The Villa Romana del Casale is argubly one of the best preserved Roman Villas. After the visit of the Roman Villa del Casale scenic drive through Sicily inner landscape to Caltagirone, surrounded with beautiful valleys and hills, in the height of 608 meters above sea level. You will see the baroque city awarded with UNESCO World Heritage award in the same way as Catania, Noto, Syracuse, but still the place has its own characteristic CERAMICS. The history of ceramics goes far back to the ancient traditions, just to think how many other places in Europe You could name, what has Regional museum of Ceramics. Ceramic museum is located in main square and called » Teatrino » ( Little Theater), it was build by architect Natale Bonaiuto in 1792. Visiting the museum You will see rich overview of ceramics history starting from prehistoric pottery and arriving today’s fine refinated art. The highlight is undoubtedly the 142 steps of the Scalinata di Santa Maria del Monte. If You are interested to know more precise about the techniques of making ceramics we can arrange the visit in Alessio’s ceramics factory. 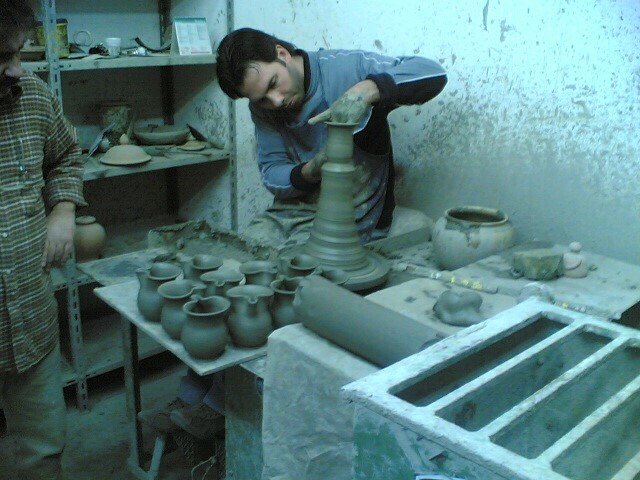 Here you can experience the traditional ceramic art by trying your hand at making pottery. EVERYWHERE IN SICILY AT ALL TIMES! The goal of our drivers is to satisfy you.